Isabel Granada, one of the veteran actresses in the industry, passes away at the age of 41. 10 days after she fell into comatose, the veteran actress Isabel Granada passed away. At the age of 41, Isabel Granada dies of an aneurysm. According to an article published by the Philippine Entertainment Portal, the news started when Isabel Granada’s husband Arnel Cowley posted a Facebook status at around 12 midnight, telling everyone the sad news. Arnel Cowley wrote: “It is with great sadness that my wife Isabel Granada has peacefully passed here in Doha Qatar. “She has been a fantastic wife, mother, and daughter. “She always did her best in everything she did, whether it be in front of a camera or sports. “I would also like to take this time to thank the Filipino community in Doha for giving their full support throughout this difficult time for myself and the family. Aside from Arnel Cowley, Isabel Granada’s ex-husband Jericho Aguas also posted the heartbreaking news on his Instagram account along with the words: “Malaki ang naging parte mo sa aking buhay..
At the age of 41, Isabel Granada died, leaving behind her husband Arnel Principe-Cowley, her 14-year-old son Hubert Thomas Jericho Granada Aguas and her mother ‘Mommy Guapa’ Villarama. Isabel Granada became a part of the industry for more than three decades and she’s the woman behind the most successful movies in the 80s. 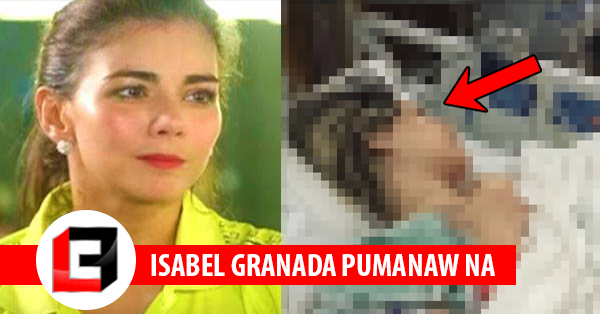 It was back on October 25, 2017, when Isabel Granada made headlines after it was reported that she fell into comatose due to an aneurysm. Our deepest condolences to the family of Isabel Granada. May Isabel Granda’s soul rest in peace.